Head plates have two parts. 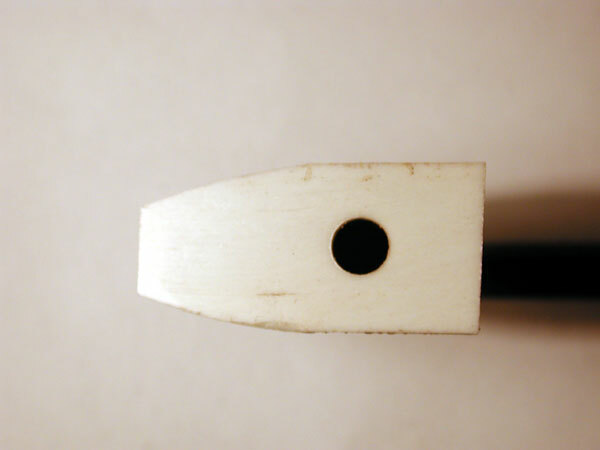 The white part is made of ivory (today usually mammut is used), bone or an ivory imitation. 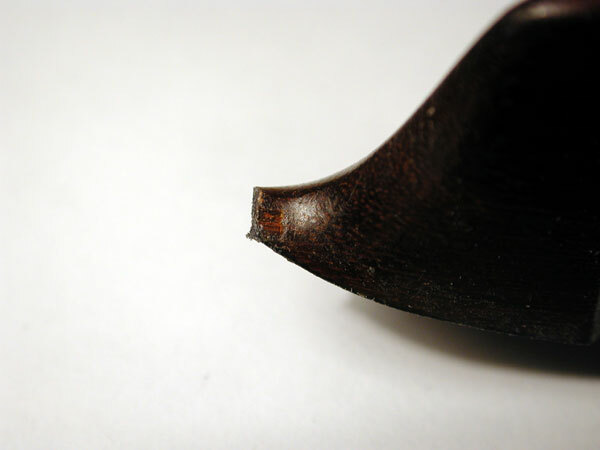 The black section is made of ebony or pressed fibers known as Vulcan fiber. Head plates can also be manufactured using gold or silver. 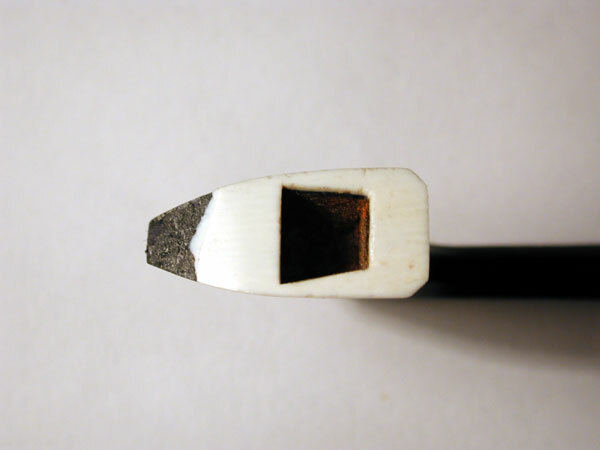 The head of a bow with broken fiber at the tip viewed from above. 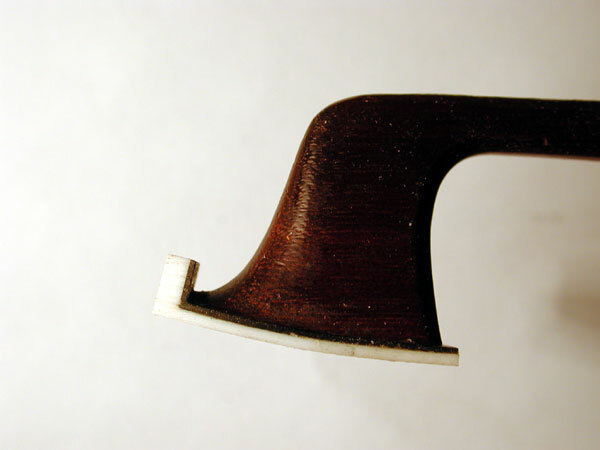 Cleaned and trimmed bow head and coarsely shaped head plate with a drilled hole for the mortise. 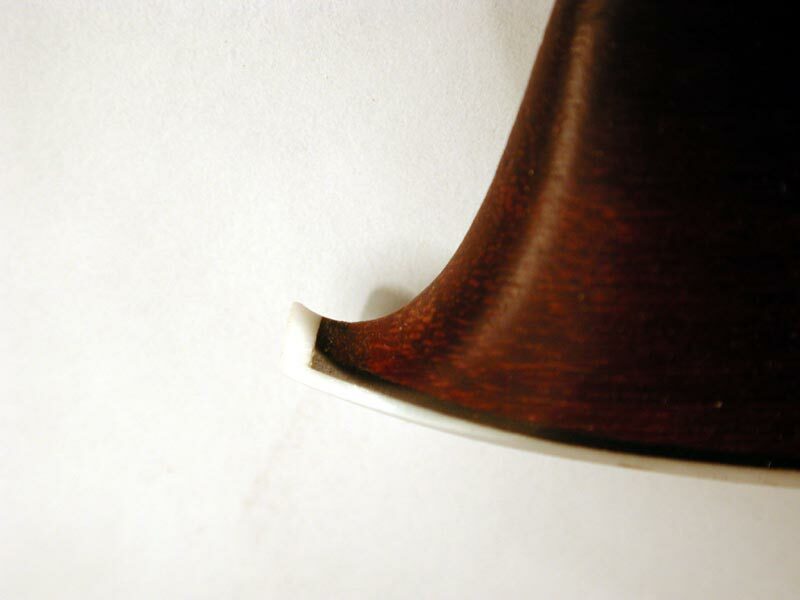 Side view of glued head plate. 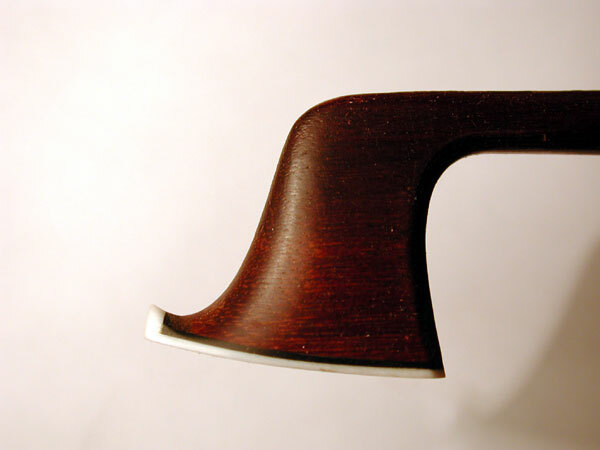 The trimming and attaching of the head plate requires great skill as the bows wood must remain intact. 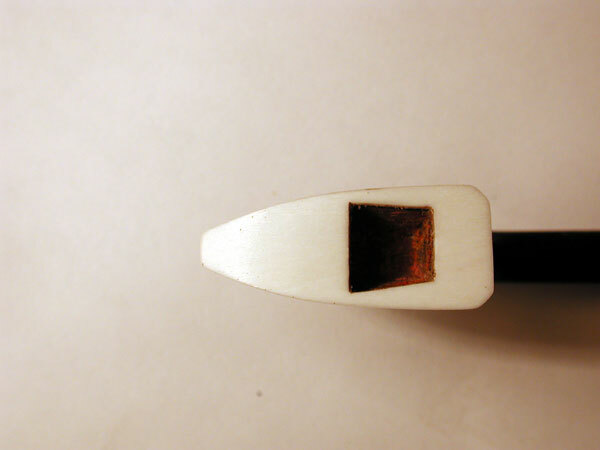 The finished head plate is aligned with the vertical alignment of the bow. viewed from below. 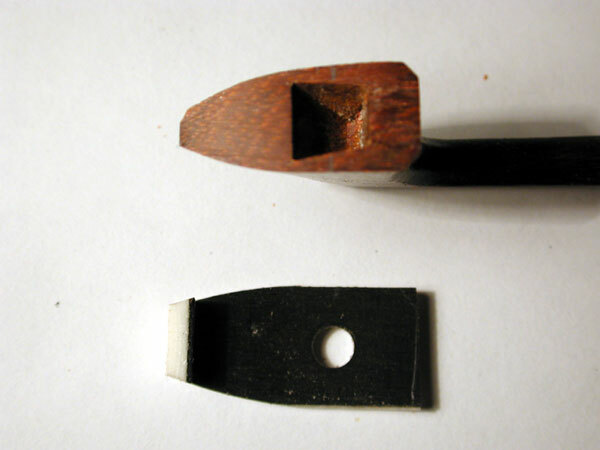 Here, too, the mortise in the bows head determines the size of the cut-out in the head plate. Detailed view of a finished head plate.